After a traditional Thanksgiving feast, a way to continue the family bonding is to enjoy a movie together. It can also be a great way for children to discover how other families celebrate the holiday. Or, it can be a way for you to create a new tradition with your loved ones. 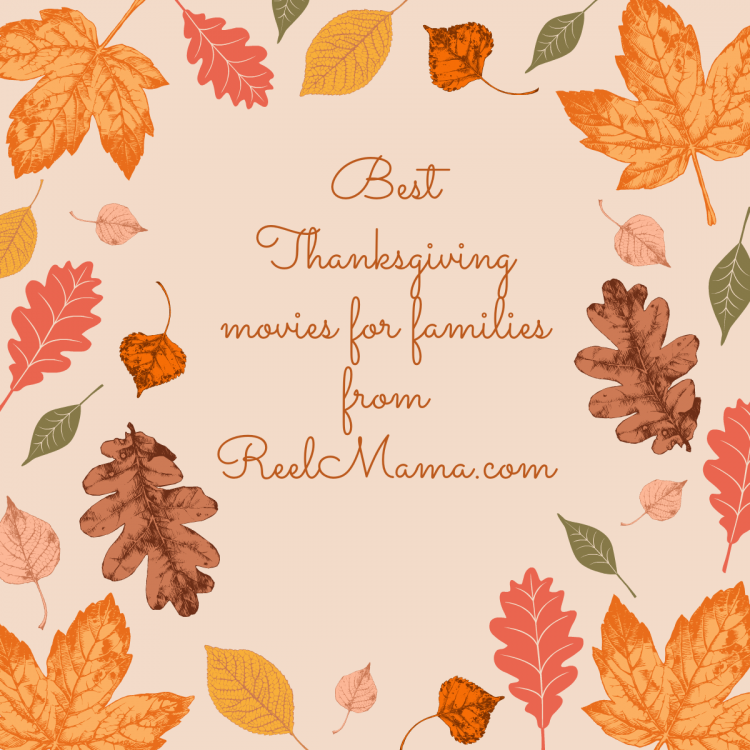 Below you’ll find a list of the very best Thanksgiving movies for families. Let me know your favorites in the comments section, and check out our holiday movie schedule guide for the Christmas and Hanukkah movies now airing. This Emmy-Award-winning special by Charles M. Schulz airs every year on ABC. The special aired for the first time in 1973, and it’s a Peanuts classic that still holds up today. Peppermint Patty and the gang invite themselves over to Charlie Brown’s house for Thanksgiving dinner, but they have plans to visit his grandmother. Charlie Brown only knows how to make toast. In a Peanuts scene for the ages, Charlie Brown, Linus, Snoopy get to work preparing their Thanksgiving feast: buttered toast, popcorn, and jelly beans. Like most Peanuts animated specials, the story is very episodic, with plenty of slapstick humor from Woodstock and Snoopy (don’t miss his battle with an “evil” folding chair). Vince Guaraldi’s jazzy score is perfect to get you into the spirit of holiday nostalgia. A bit of Peanuts trivia: did you know that this was part of a mini series that aired in the late 1980s? “The Mayflower Voyagers” episode is a terrific rendition of the Mayflower pilgrims’ journey and ultimate encounter with the Native Americans. The show is quite frank about the suffering the voyagers endured, including how many lives were lost to illness. However, 30 children survived the journey, and the Peanuts gang is among the group that established the Plymouth Colony. Their friendship with English-speaking Patuxet Native American Squanto is touching: were it not for him teaching the pilgrims to live off the land, they would not have survived. Plimouth Plantation provided the historical perspective to the filmmakers that really manages to show a fair and dignified portrayal of Native Americans. Time to get your Disney Princess fix with one of the most-often overlooked of the princess movies. In 2000 Disney was ready to diversify the Disney princess line-up, but American history isn’t exactly conducive to a fairy tale. However, that didn’t stop Disney from tackling this story of a Native American princess. Taking plenty of liberties with history, and throwing in talking animal sidekicks, this can be a nice way to acknowledge Native American culture with young kids. This little-known special from Jim Henson’s studio is one of the rare Thanksgiving specials for kids that’s meant for the whole family. Coming off of a recent divorce, the Emmerson family’s father Ron (Jay Harrington) seeks to give his kids an old-fashioned Thanksgiving on the farm with his Aunt Cly (Mary Steenburgen in a fun role as an aging hippie). Officially off-the-grid, Timmy (Graham Verchere) has nothing but time on his hands and soon discovers a mysterious basement workshop belonging to his eccentric late uncle Ned. There Timmy finds a strange instrument Ned built to contact the legendary Howling Hoodoo, a Big Foot-like monster who reportedly roams the Turkey Hollow woods terrorizing those who come across his path. Turkey Hollow is a strange little movie, and not on a par with some of Jim Henson’s other work. But, it’s worth giving a chance, if only for the mysterious and very creative Fraggle Rock-inspired “monsters” that live in the enchanted wood. I was so pleasantly surprised by this movie! Katie Holmes gives a career-making performance as April, the black sheep of the family determined to redeem herself by inviting her family to Thanksgiving dinner at her run-down New York apartment. April’s relationship with her mother Joy (Patricia Clarkson) is strained to say the least, but now Joy has cancer, and this Thanksgiving may be her last. Pieces of April is so touching and honest, and really defines what great independent filmmaking can and should be. When April’s oven fails, she’s forced to get to know all her neighbors as she goes from apartment to apartment in search of an oven to cook her turkey. In her adventures, she encounters new cultures and Thanksgiving traditions and makes new friends. Well worth a view on Thanksgiving if you have teens. If you have grown kids or older teens, this can be a fun Thanksgiving movie to sit down and “veg” to after your feast. There’s plenty of profanity and iffy content, but in spite of this the movie promises lots of good belly laughs. It’s a classic 1980s comedy with comedians John Candy and Steve Martin at their best. No movie could better summarize the quintessential Thanksgiving experience of holiday travel nightmares. Bad weather prevents Steve Martin’s character Neal from getting home to his family, and to make matters worse, he keeps running into Del (John Candy), an annoying shower ring salesman. They have nothing in common, but somehow a Thanksgiving miracle occurs, and friendship prevails. Which of these are your favorite Thanksgiving movies? Did I miss one that you love? Tell me in the comments section!